The sculptural wall clock designed by the German duo, Jehs & Laub. 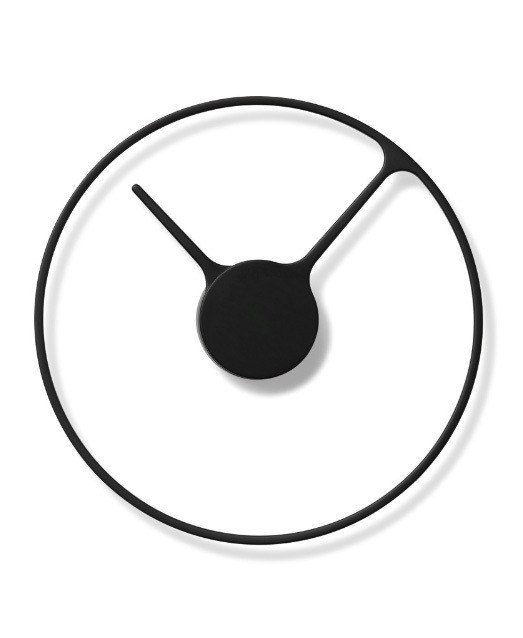 The minimalistic design is inspired by the icon of a clock. The Time clock’s minute arm is linked with and forms the clock face, casting an attractive shadow on the wall. Simplicity gives the clock a unique, graphical look and the absence of traditional clock casing creates the illusion of floating on the wall.